Our Diversification Weighted® Exchange Traded Funds Strategies Build on the Existing Advantages of ETFs; Transparency, All Day Tradability, Lower Fees, and Systematic, Replicable Strategies. Our ETF models cover a broad base of asset classes. This broad base of asset classes provides the opportunity set to attain greater diversification. 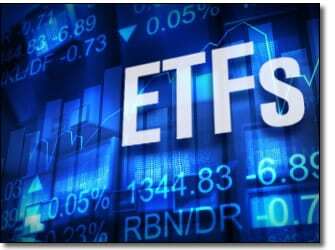 Filtering the assets for liquidity, we then filter again ETF’s so that we use A graded Funds from ETF.com. Using a proprietary forecasting process, Gravity then takes the best performing funds from each of the asset classes and selects the one fund with the highest potential. As an ETF Strategist, Gravity applies our patented Diversification Optimization™ process to these funds. This creates the most efficient combination of the top ETF’s. Our process removes the redundancy and creates a more diversified portfolio with less market risk exposure. Our ETF core strategies make a great investment core strategy. As with all of our separately managed account strategies, we will run the strategy for you and will provide access to www.gsphere.net to help you run analytics, proposals, reports and comparisons.